The last frontier…the great white continent, Antarctica! Travel to one of the most spectacular places on earth, the coldest, highest and most remote continent. There is no place like it. 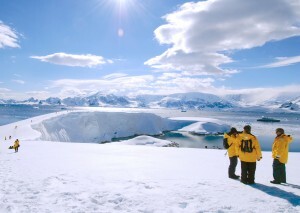 Antarctica has been inspiring explorers for centuries and cannot fail to inspire you with its boundless scenery. Choose from our range of exciting adventures below or contact our team of skilled consultants on 1 800 155 044 to start planning your truly authentic tour.